Amane Advisors has conducted a survey among 64 senior water professionals to understand their views on innovation trends. Based on conversations with industry peers, we pre-identified the growth sectors facing technology challenges. Result shows that sludge management has largest innovation needs, with the focus on salvaging value from sludge. In oil & gas sector, the innovation opportunities are identified to be in the advanced treatment, mainly driven by the tightening of regulation, public awareness and water scarcity. To minimize risks for their clients, innovative water companies adapt new innovative business models such as performance based contracts and delivering technologies as a service. To prevent having to compete mainly on price, it is important to define and clearly communicate the unique value proposition to your customers. Question: What do you think are the main challenges facing companies in the water industry who want to bring innovative solutions to the market? Israel and USA are seen as being the most prominent government supported innovation centers globally. Netherlands is ranked second and Singapore a close third. One of Japan’s strengths is the role it can take as an equipment supplier, engineering firm or investor. Hence, it has the flexibility to participate in the water market through various business models (such as BOT). Their main weakness is the understanding of local needs. To overcome this weakness, it is important to conduct market research to develop an in-depth understanding of customers’ needs prior to entering a new market. It also vital to find the right local partner to address informal barriers. 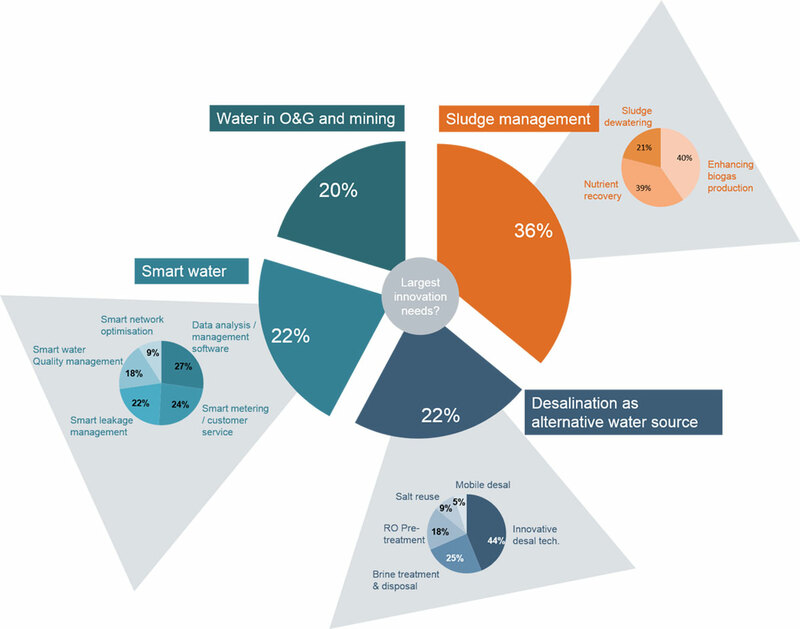 We conducted a 5 minute online survey with 64 senior water professionals globally. Companies interviewed include Operators, Developers, EPC, Equipment, Consultants, etc.